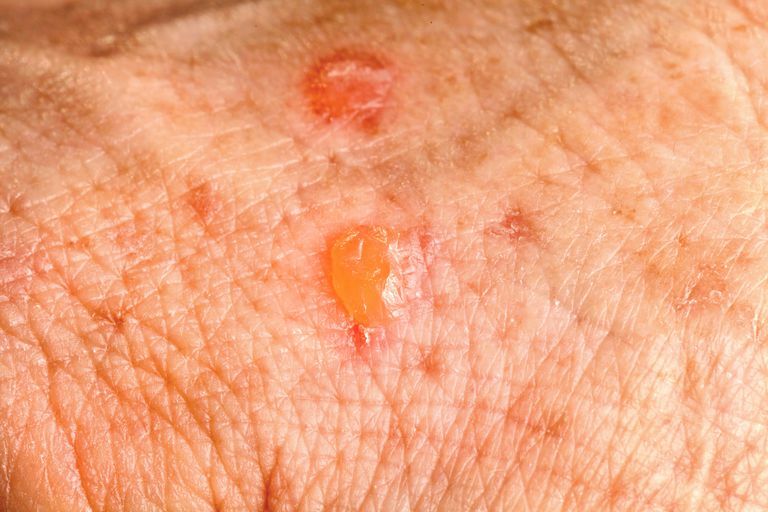 Actinic keratosis (AK), also called solar keratosis, is a common precancerous skin condition that appears as a dry, scaly lesion caused by prolonged and repeated sun exposure. Approximately 10 percent of AKs ultimately become cancerous, and nearly half of all squamous cell carcinomas begin as untreated AKs. Current actinic keratosis treatment options include cryosurgery (freezing), curettage (scraping), surgical excision (removal), laser therapy, chemical peels, photodynamic therapy, and topical (applied to skin only) creams such as imiquimod, fluorouracil, and Solaraze (diclofenac, diclofenac 3 percent gel, diclofenac sodium). Note: This information may not cover all possible precautions, interactions or adverse effects for this drug. If you have any questions about any drug you are taking, check with your healthcare professional. Solaraze gel is a skin-use only (topical) prescription medicine used to treat actinic keratosis on all areas of the body. Although the exact way it works is not completely understood, it is classified as a nonsteroidal anti-inflammatory drug (NSAID), just like aspirin and ibuprofen. NSAIDs inhibit a molecule in the body called cyclo-oxygenase-2 (COX-2), which in turn reduces the synthesis of a hormone-like substance called prostaglandin. Sun damage and AKs have been linked with raised prostaglandins in the skin. Three clinical trials were conducted that led to the approval of diclofenac gel by the Food and Drug Administration (FDA). A total of 427 patients with five or more AK lesions on their scalp, forehead, face, forearm or hand were treated with either diclofenac or a dummy (placebo) gel for three months. Thirty days after the end of treatment, 30 percent to 50 percent of the AK lesions were completely cleared, double or triple the number seen in the dummy gel group. The best results were seen with AKs on the face. A more recent study tested the effect of diclofenac on AKs that had already been treated with cryosurgery (freezing). The results were even better: 46 percent of the patients saw all of their AK lesions completely cleared, compared with only 21 percent of the patients who didn't receive diclofenac after cryosurgery. Solaraze gel should be gently rubbed on your lesions twice a day. The amount needed depends upon the size of the lesion, but be sure that enough is applied to adequately cover each lesion. Your doctor may recommend that you treat a general area with Solaraze, rather than just specific lesions, which may help clear lesions that are not yet visible. Your doctor will likely recommend you use Solaraze for 60 days to 90 days. However, your lesions may not heal completely until 30 days after you stopped using it. If you see that some lesions are not responding to the gel, see your doctor. Most of these reactions went away when the therapy was discontinued. It is important to avoid the sun and tanning booths while you are using diclofenac gel since it causes an increased sensitivity to sunburns. It should not be applied to open skin wounds, infections or other skin problems, or come in contact with your eyes. Children should not take diclofenac, and do not use this product if you are pregnant or nursing. Berlin JM, Rigel DS. Diclofenac sodium 3% gel in the treatment of actinic keratoses postcryosurgery. J Drugs Dermatol. 2008 7(7):669-73. Nelson CG, Spencer J, Nelson CG Jr. A single-arm, open-label efficacy and tolerability study of diclofenac sodium 3% gel for the treatment of actinic keratosis of the upper and lower lip. J Drugs Dermatol. 2007 6(7):712-717. Newman MD, Weinberg JM. Topical therapy in the treatment of actinic keratosis and basal cell carcinoma. Cutis. 2007 79(4 Suppl):18-28. "Solaraze Gel Prescribing Information." PharmaDerm.